It was mentioned during the initial Pulse release for ERAnet that the development process is still ongoing - as we want to fine tune the dashboard to exactly what our customers need. 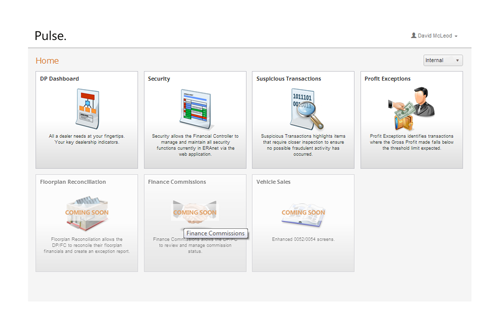 As a part of that ongoing development, we’ve since made two exciting additions to the Dealer Principal dashboard of Pulse. 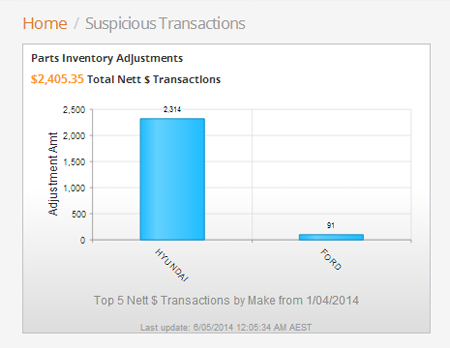 The first new Pulse module - Suspicious Transactions - focuses on showing you the abnormal activity in your parts area. The “something’s not quite right” transactions occurring in your dealership’s parts department. At any time you’ll be able to see in full detail any and all transactions that seemed out of the norm to your usual parts processing. In particular this could be identifying transactions that have been completed via an overrule or otherwise corrections and modifications that do not correlate with the system stats the day before. Putting this kind of focus on your radar allows you as a Dealer Principal to quickly see where there is a need for training or quickly see where something may need your greater attention. The data can be separated by make, group, person, part numbers, cost etc. We make it intuitive and easy for you to pull out the information you need to properly examine your parts department and handle accordingly. 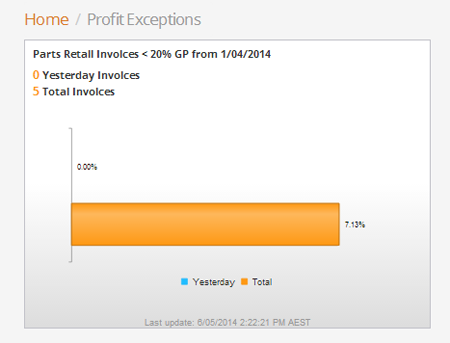 The second exciting addition is the ‘Profit Exceptions’ tile. This tile of Pulse is available for the parts sector as well - allowing you to see everything that falls under 20% gross margin. By narrowing in on the slimmest part of the part’s pie, you can identify areas for training or a need for process support, and essentially protect your gross profit. Complete with customer name, invoice number, sell price, cost and % - this module enables you to slice and dice your lowest margin parts however you may need. All parts, full MTD or yesterday, are available to be analysed at your fingertips. Just another way we’re helping you protect your gross profit and proactively manage your dealership. Stay tuned for further Pulse enhancements. We’re excited too. View other May newsletter articles here.